He was a partner at Hay　Management Consultants (1994-1996) and PricewaterhouseCoopers Consulting in Japan (2000-2002), responsible for Human Resources Management Consulting Services and Strategic Change Practice. He has worked as a consultant as well as a project manager, for both Japanese and multinational companies operating in Japan, for more than 20 years. His work has focused mainly on helping companies develop strategies for changing their business models, organization and HR systems and transforming their culture. 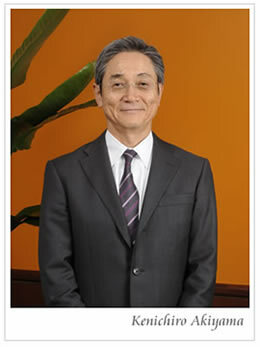 Prior to consultancy he worked at Mitsui & Co., Ltd., (one of the biggest Sogo Shosha) as assistant manager in the Plant and Project Department; Isuzu Motors Ltd., as manager of the Corporate Planning Department; and DHL Japan, as the head of the Corporate Planning Department and the Marketing Department. 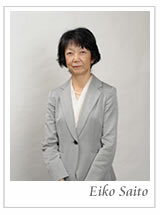 She was Executive Compensation Expertise Leader and Senior Consultant at Hay Japan, and is a co-founder of MINORI Management Research Institute. 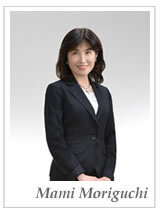 She has more than 20 years of experience in the formulation of human resources strategy and the design, development, implementation and maintenance of compensation and human resources programs for various Japanese and foreign-capital companies. She is a co-author of “The Revolution of Executive Directors” published in May 1998, “Design Guide of Incentive-Based Compensation System for Meritocracy” in 1996, and “New Salary and Performance Management System Design Guide” in 1994. She joined MINORI in June 2015. Before that, she worked at Pricewaterhouse & Coopers Consulting in Japan and IBM Business Consulting as a Strategic Change consultant for Organization and Human Resource Management and also worked for IBM Japan mainly engaging in projects for process improvement in HR and Operations. Prior to consultancy she worked for Capital Market Planning Division in The Long-Term Credit Bank of Japan (Shinsei Bank) and worked as assistant manager of Corporate Planning Department in DHL Japan. She joined MINORI in October 2006. Before that, she worked at a software company as a programmer, and then worked at Hay Japan as a researcher. 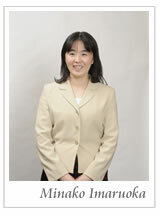 She has 10 years of experience in compensation analysis and compensation survey.